Every country has its cricket board under which the powerful and talented players are selected. 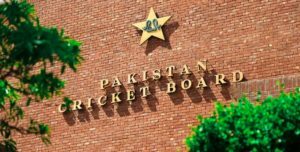 In Pakistan PCB is the Pakistan Cricket Board for cricket game across the country. Now Pakistan Cricket Board is going to start its own Cricket Channel in Pakistan. The early preparations have been started as they applied for Channel’s License in PEMRA. Pakistan would be the first test playing country which has its own TV Channel. All the Cricket Matches and Talk Shows would be shown on this TV Channel. Najam Setthi said PCB would made its own Studios and would also made a team of Professionals. The complete details of Pakistan Cricket Board TV Channel are here. It is a big news for Pakistani Cricket fans as Pakistan Cricket Board is going to start its own TV Channel for its viewers. The early preparations have been started as they applied for Channel’s License in PEMRA. The chairman of Pakistan Cricket Board Najam Setthi said Pakistan would be the first test playing country which has its own TV Channel. Not only the cricket matches would be shown on this channel but talk shows would also showed on channel. The other documentary programs would also be telecasted for making the better image of the PCB. Najam Setthi told in his interview that Pakistan Cricket Board is buying Air Time through Open Tender for 80 days. To deal to which channel would be done that channel would also show PCB International, Domestic Cricket and Pakistan Super League Matches online. The separate agreement would be signed for matches telecast. 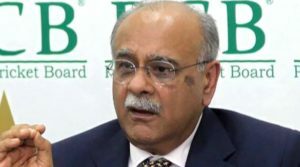 Najam Setthi also said we take the tenders and any one can sell Air Time to Pakistan Cricket Board to view the Pakistan Channel Advertisement. In 2006 Sheher Yar Khan also started the preparations of starting the TV Channel for PCB. But after spending a lot of money Pakistan Cricket Board will not able to launch its own TV Channel. In this year the chairman of PCB Najma Setthi said we made our own Studios and a team of professionals. After buying the Air Time we would be able to show our cricket in all over the world. All the matches under PCB would be telecasted on other channels also. Therefore, the first and for most priority of PCB is to show the domestic cricket to all people of Pakistan. He also said we spend a lot of money on domestic cricket in this year. The teams and players prices are also increased for showing the Pakistan Cricket Board transmissions in all Pakistani houses.